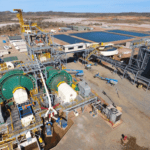 Dacian Gold remains confident it will achieve the targeted annualised run-rate at the Mt Morgans operation in Western Australia, despite a reduction in its 2019 financial year gold production target. The company has suffered from lower-than-expected production during the March quarter this year due to reduced underground load and haul equipment availabilities at the Westralia mine area. The production shortfall peaked in February and was addressed in March with the mobilisation of two 60-tonne trucks and a tele-remote loader to site. 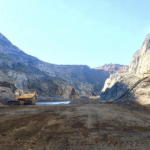 Dacian, having one remaining gold pour, expects its March quarter’s production to fall within the range of 36,000–38,000 ounces, similar to the December 2018 quarter. Chairman Rohan Williams said the company and its underground mining contractor had moved as quickly as possible to resolve the issues around equipment availability and returned underground productivity to design levels. 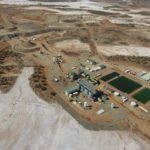 “We are confident that the issues we faced in the March quarter have been resolved and we are forecasting a strong June quarter with a corresponding excellent all-in-sustaining cost (AISC) profile, which puts us on track to achieve our targeted annualised production run-rate of 200,000 ounces,” Williams said. Dacian’s production in the June quarter is expected to be between 50,000 and 55,000 ounces at an ASIC of $1050–$1150. Its 2019 financial year production guidance was revised to 150,000–160,000 ounces, down from the previous target of 180,000 ounces. “Importantly, mine-to-mill reconciliation since processing of the Westralia underground and Jupiter pit ores started in April last year remains very good at 101 per cent,” Williams added.